A fine 1930's family home on a popular road, situated in a wonderful location opposite Albert Road Park. The property is well presented, and is situated on a good sized private plot, offering considerable potential for further enlargement (STPP). Internally the property offers good room sizes and comprises - reception hall, dual sitting room, conservatory, dining room, extended kitchen, 4 bedrooms, en-suite shower room and spacious family bathroom. The property enjoys a generous gated frontage, providing parking for several vehicles, and a double garage. There is an attractive landscaped rear garden, predominantly laid to lawn, with patio area and well stocked borders. It is in the Caversham Primary Catchment and within close proximity of Caversham and Reading centres, plus Reading mainline station with its fast connection to London Paddington. Within the immediate area is a general store, tennis and bowling club, recreational parks, 2 golf courses, health spa and bus services. NO ONWARD CHAIN. Viewing recommended. 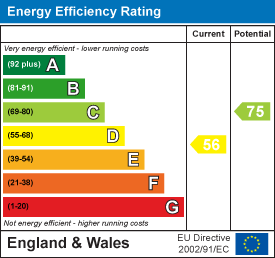 EPC Rating E.
These particulars are intended only as a general guidance. The company therefore gives notice that none of the material issued or visual depictions of any kind made on behalf of company can be relied upon as accurately describing any of the specified matters prescribed by any order made under the property misdirection act 1991. Nor do they constitute a contract, part of a contact or a warranty.